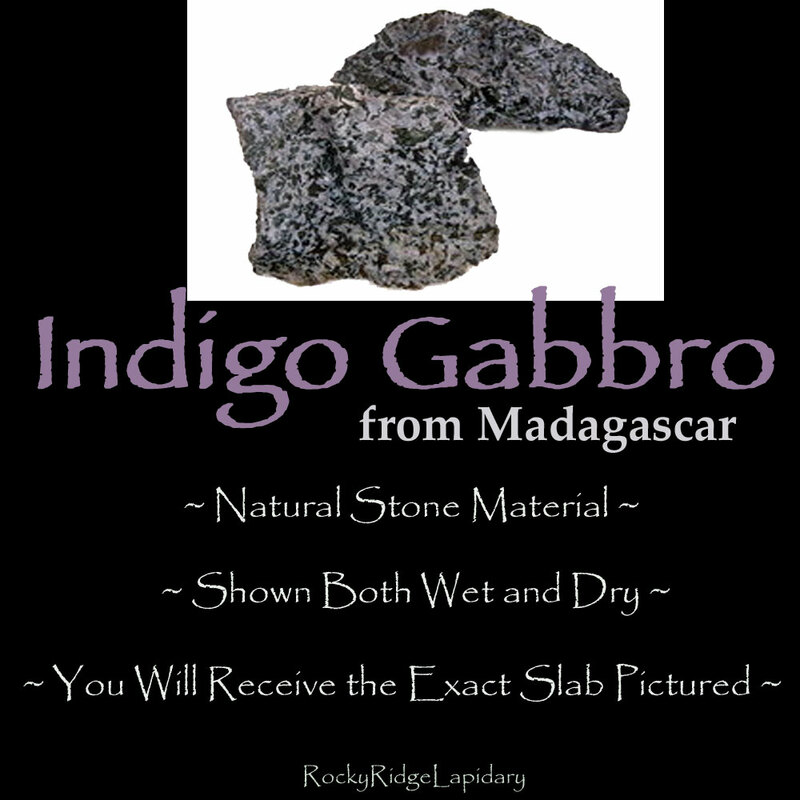 Indigo Gabbro Slab for Lapidary or Display - A relatively new gemstone from Madagascar, Indigo Gabbro (a.k.a. 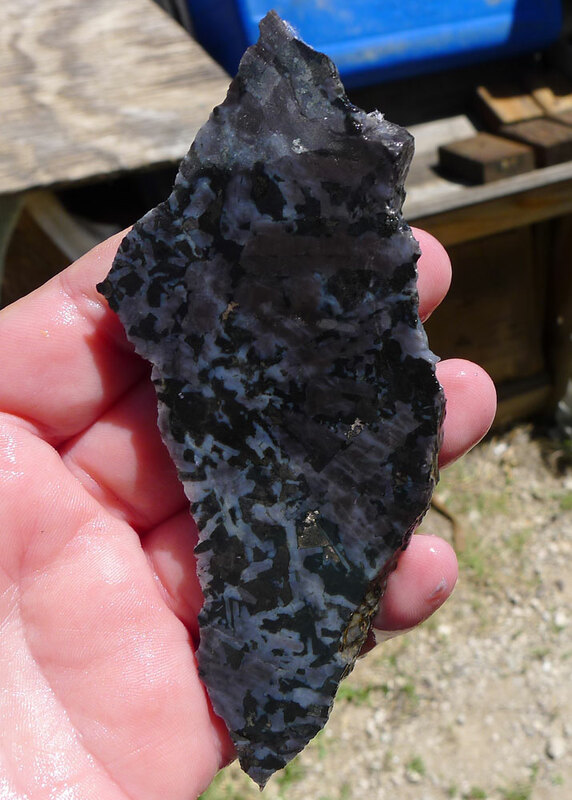 Mystic Merlinite (tm)) is simply gorgeous! It has the most beautiful mix of colors from pale indigo-blue-purple all the way through to jet black with shiny flecks throughout. 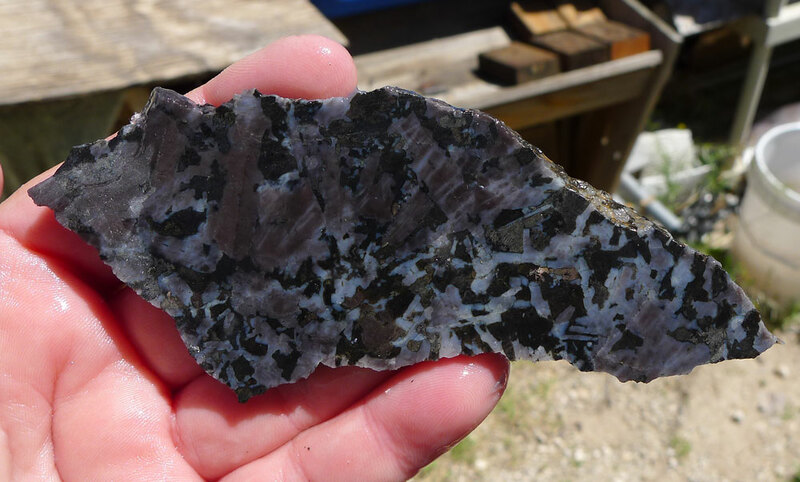 You will receive the EXACT Indigo Gabbro Slice pictured. Weight: 2.07 oz. - 58.68 gr. The word ‘Gabbro’ pertains to a group of igneous rocks formed of quartz that are laden with magnesium and iron. 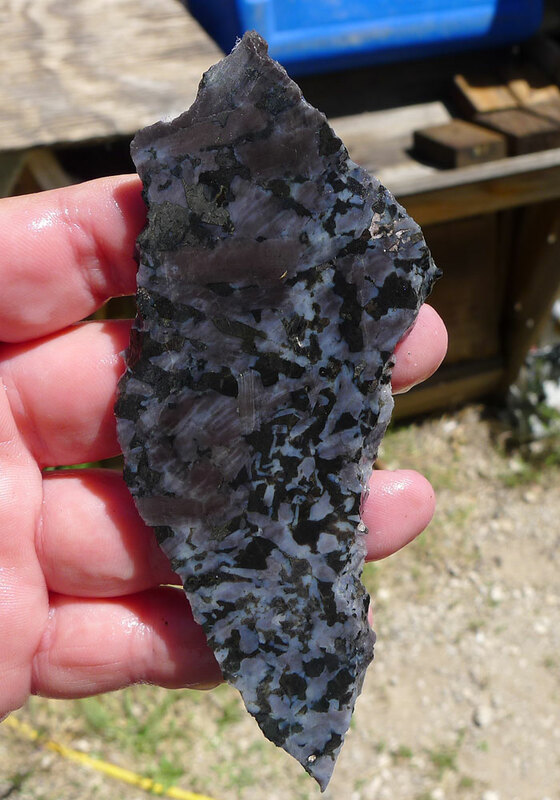 Indigo Gabbro is a beautiful, unique stone that polishes to a high shine and is just plain pretty to look at as a display piece as well!